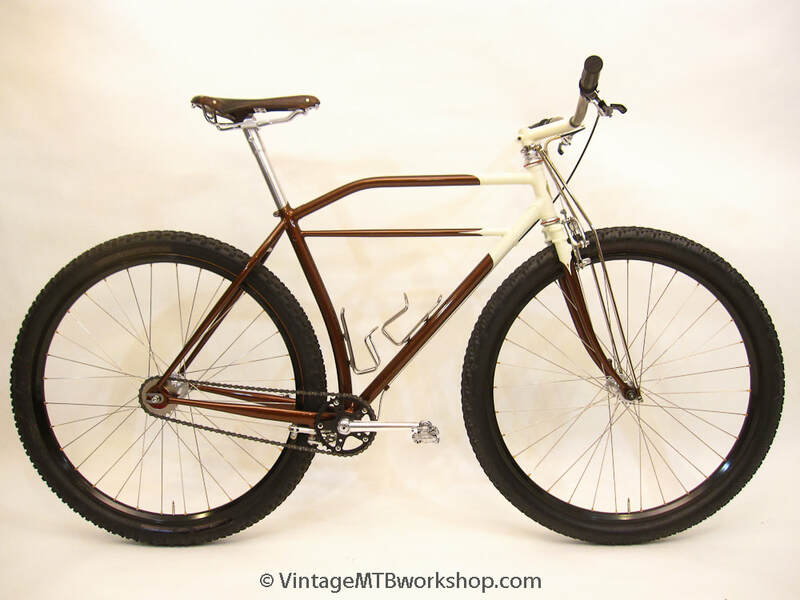 The 2017 Pearl Pass Bike was built by the Vintage MTB Workshop and was inspired by the wonderful, retro 29ers built by Don McClung of Salida, CO starting in 2001. 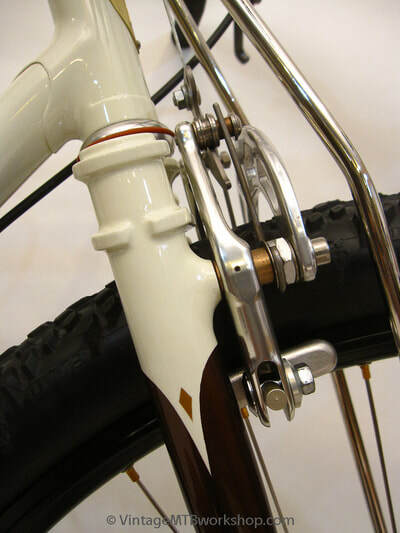 Short wheelbase, short stays, graceful curves, and steep angles. 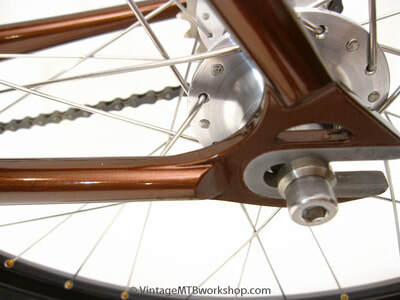 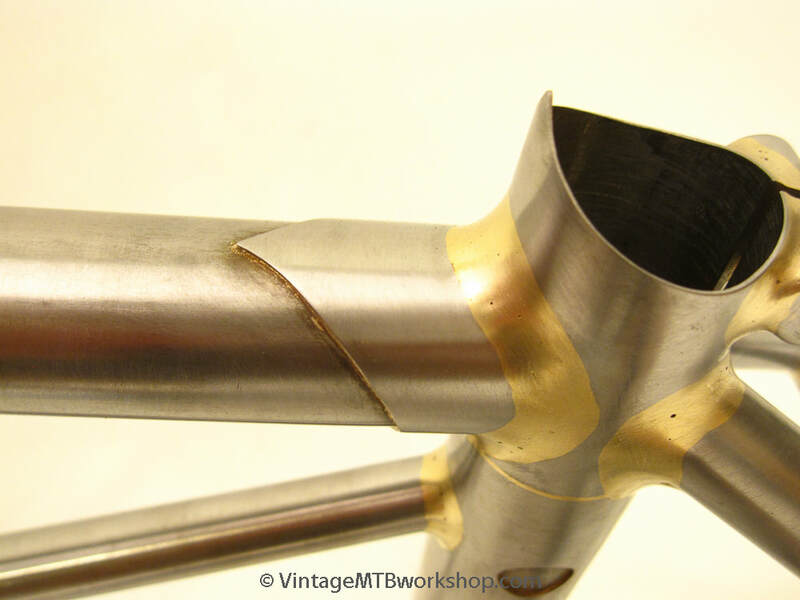 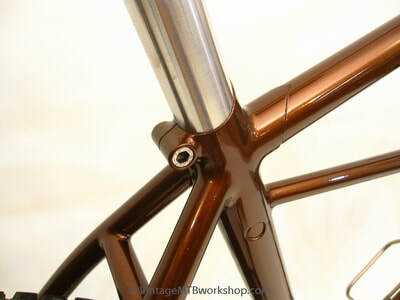 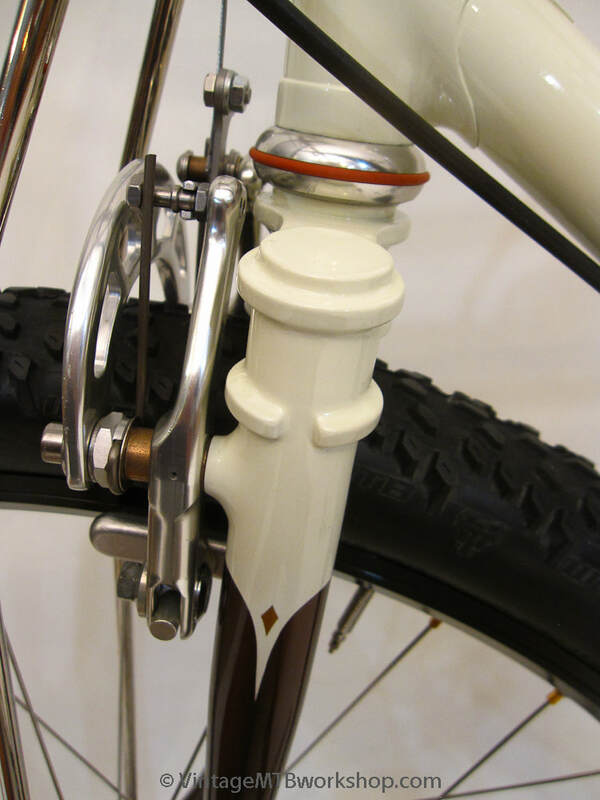 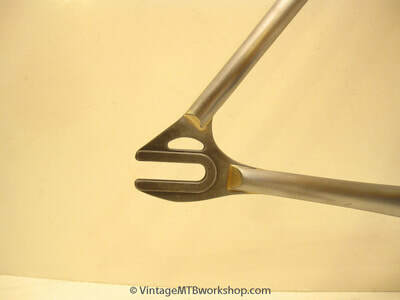 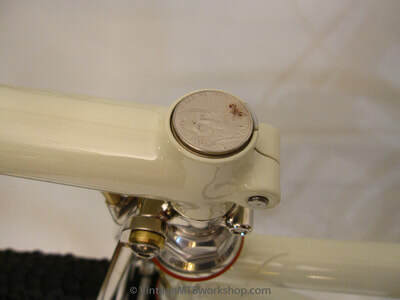 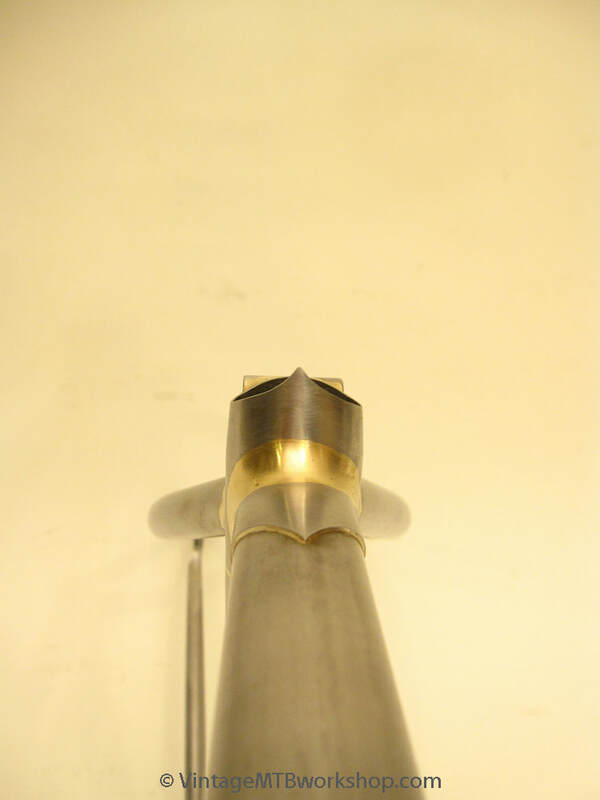 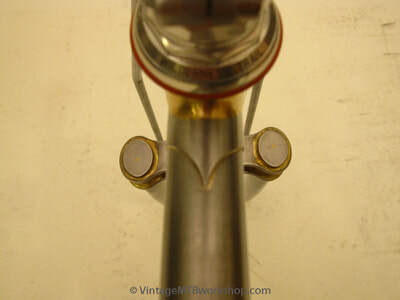 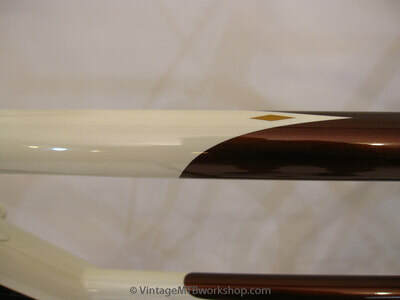 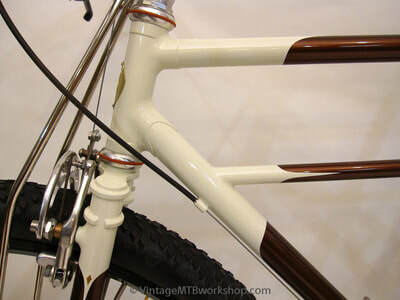 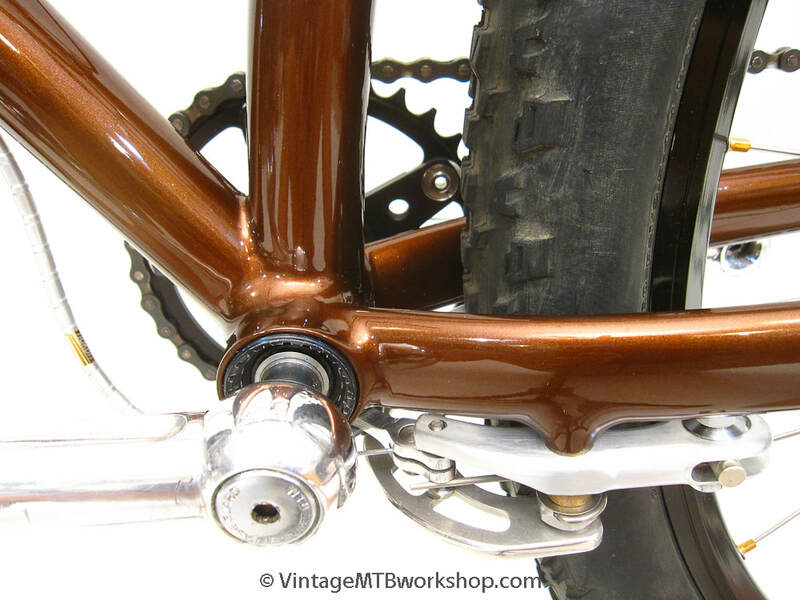 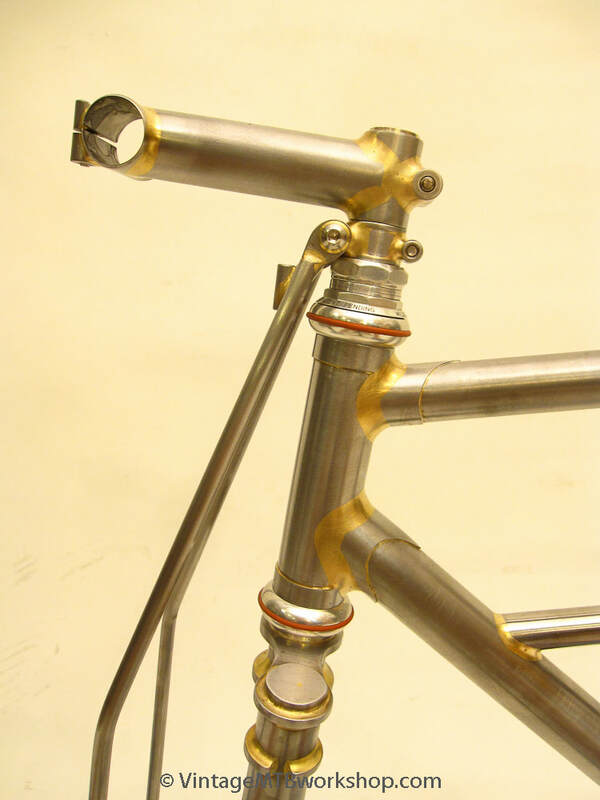 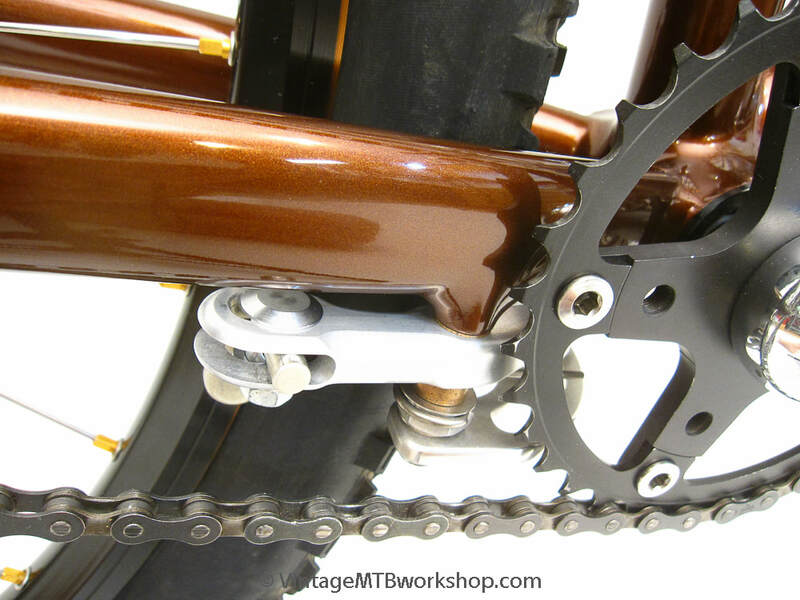 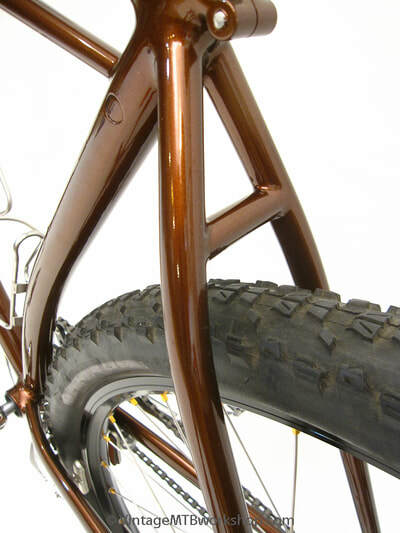 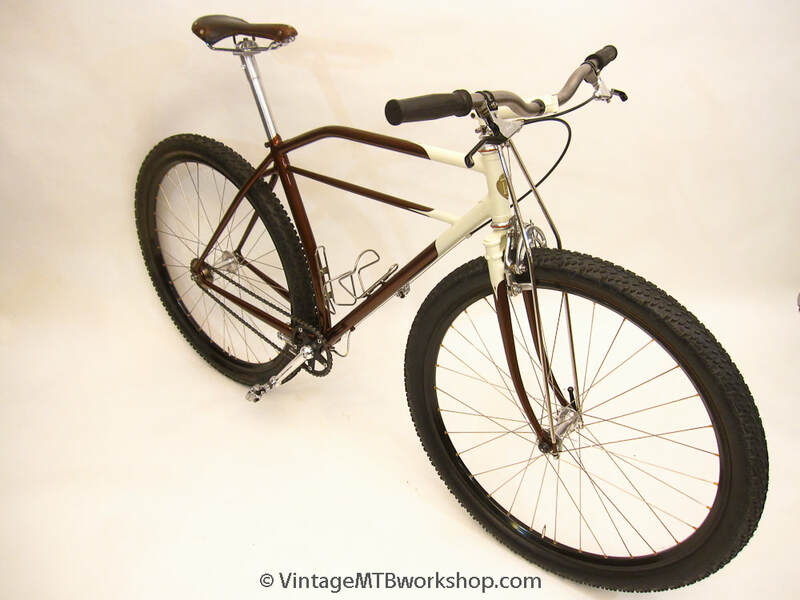 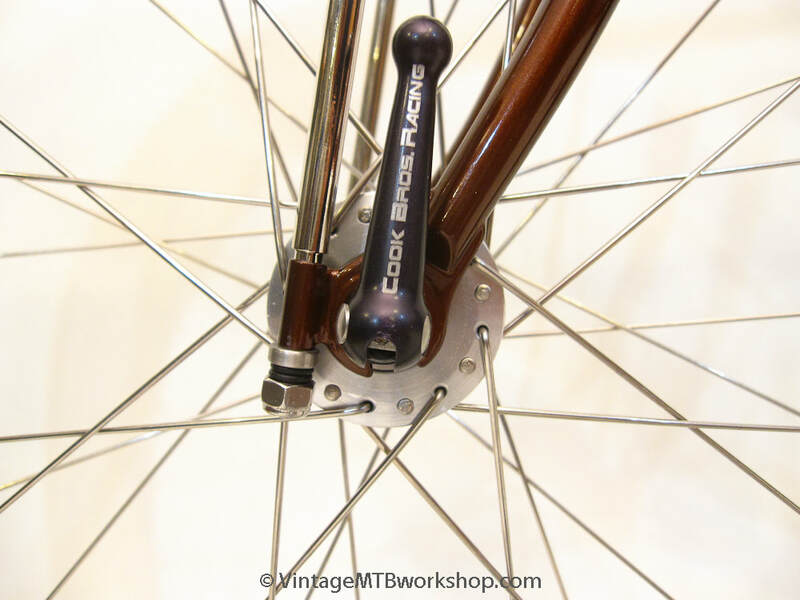 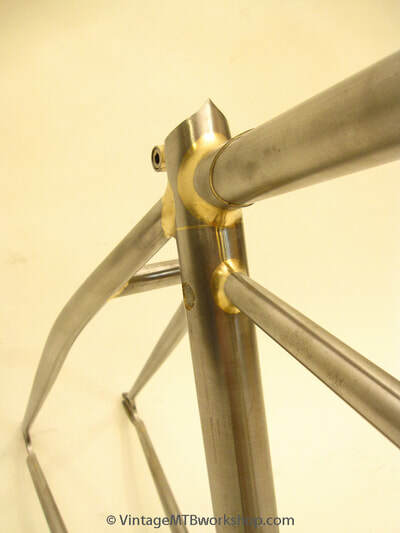 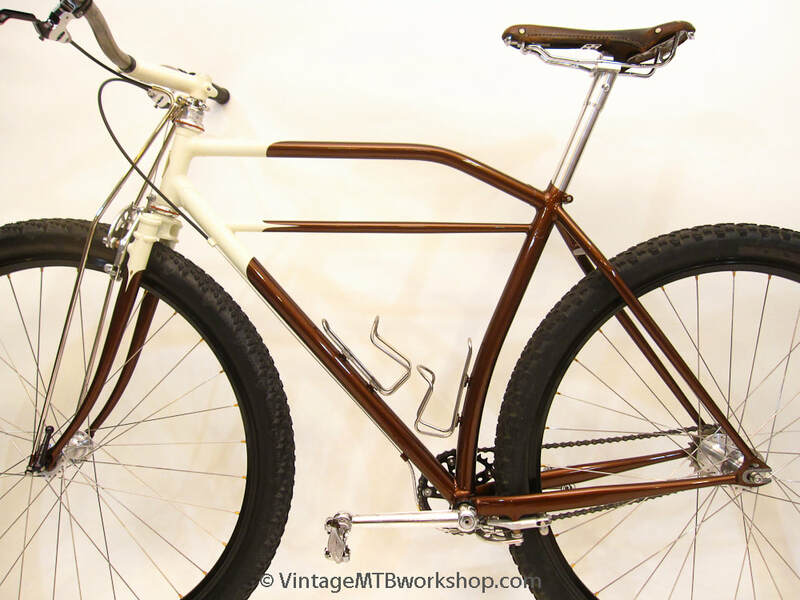 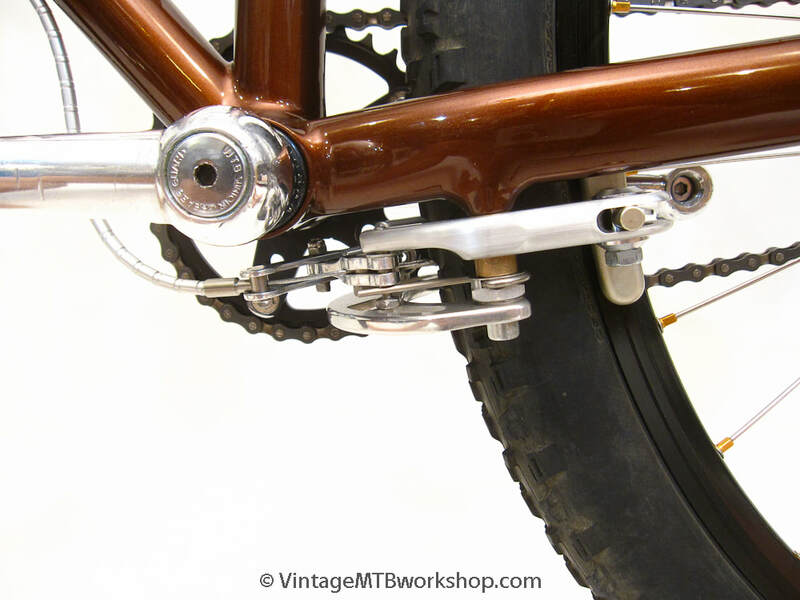 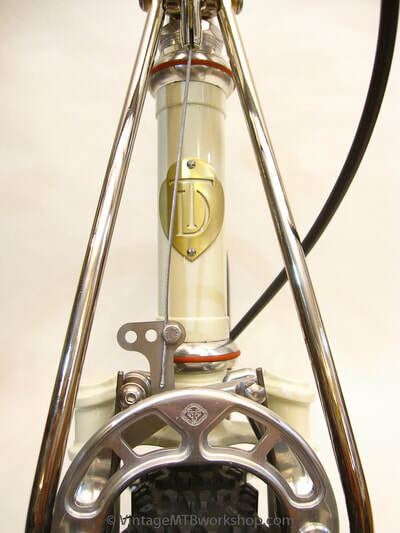 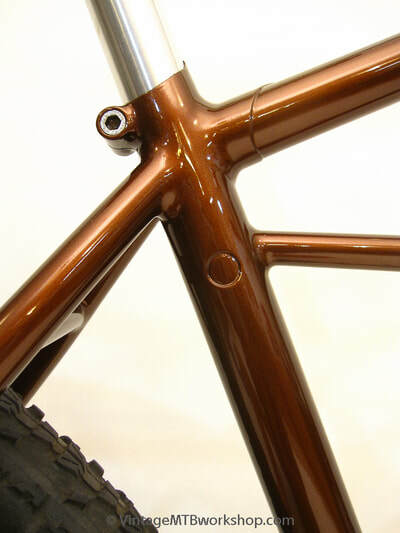 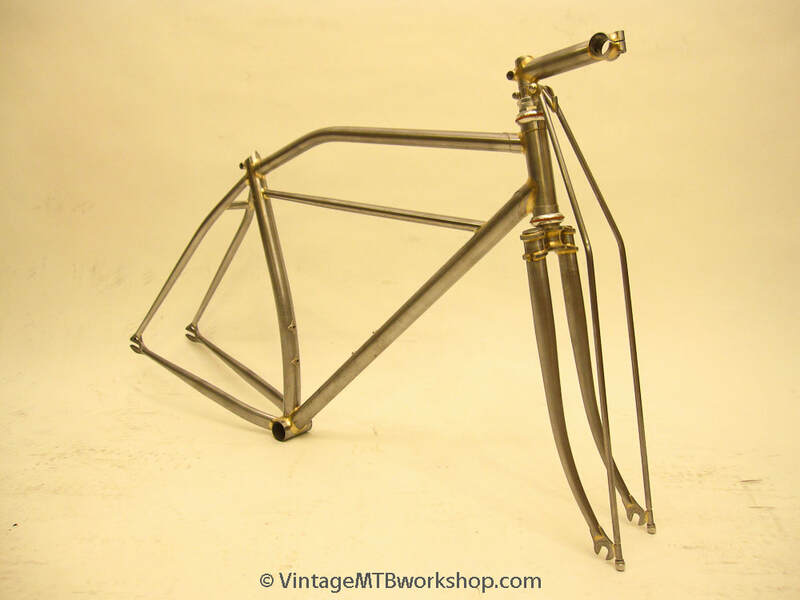 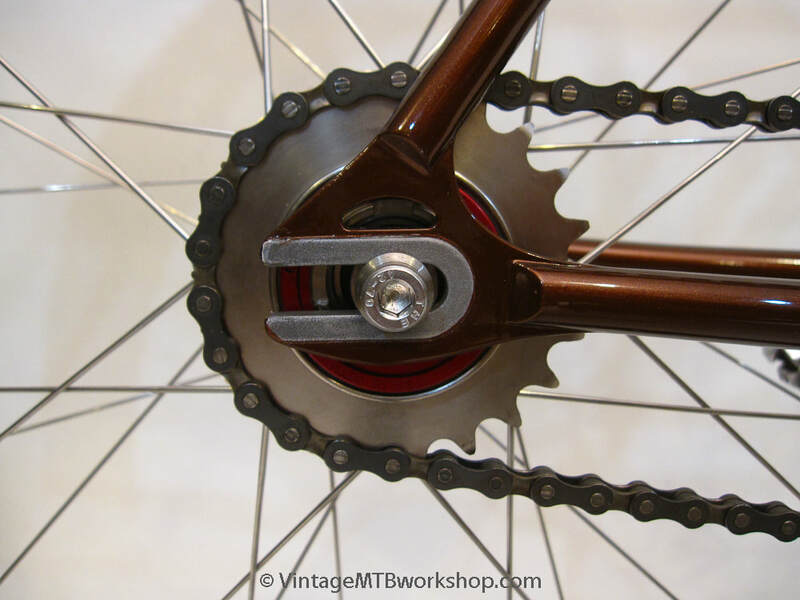 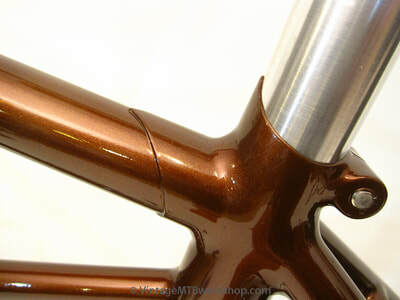 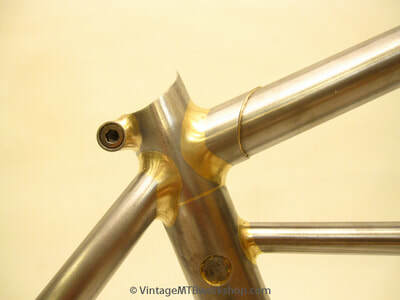 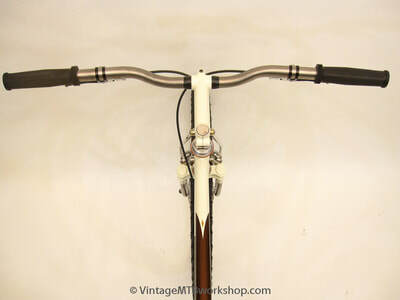 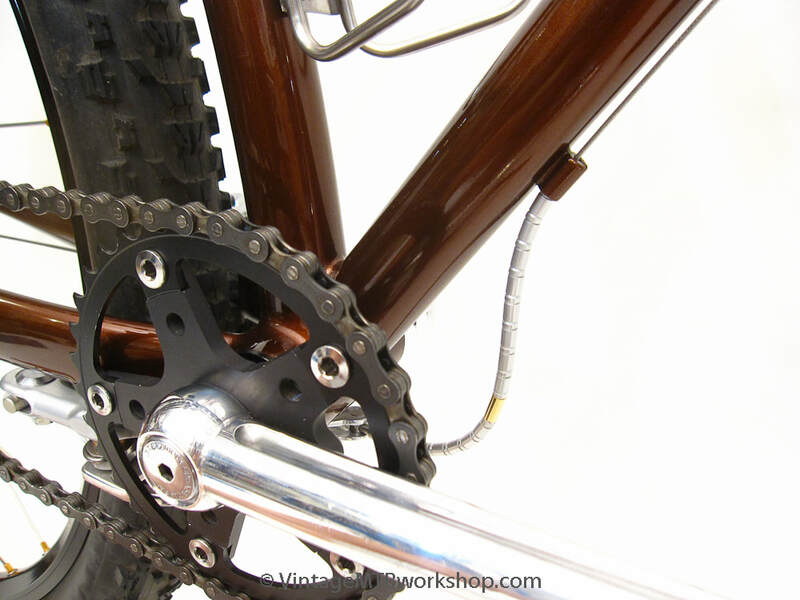 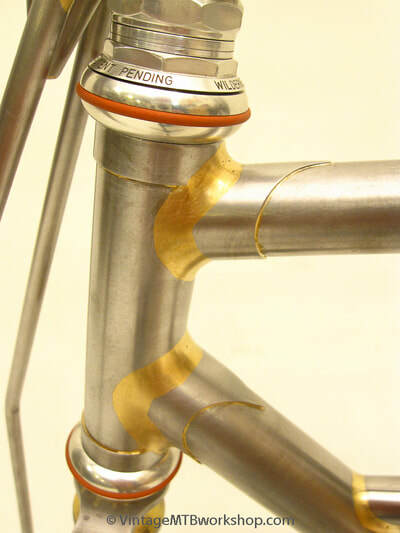 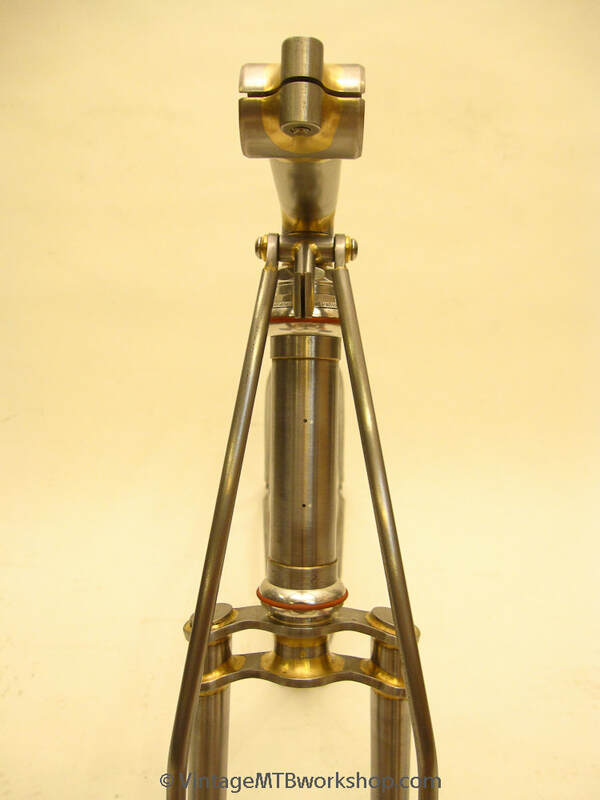 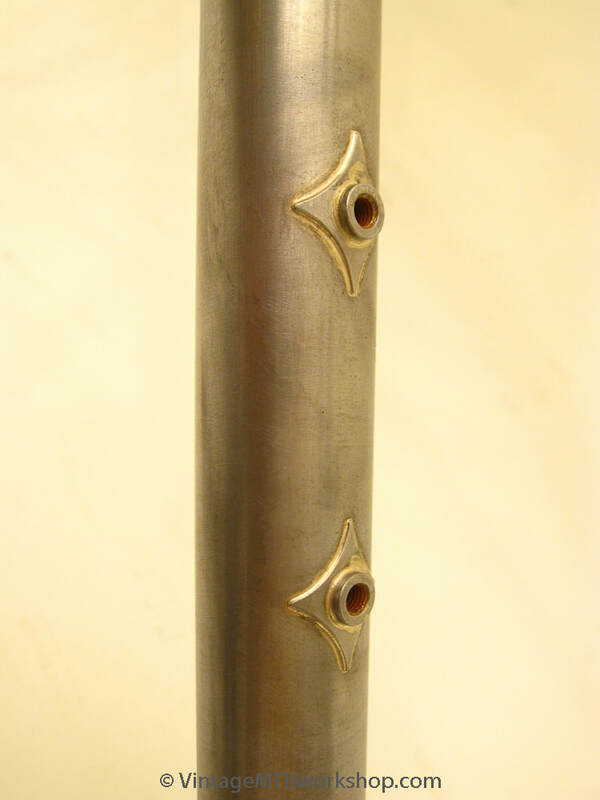 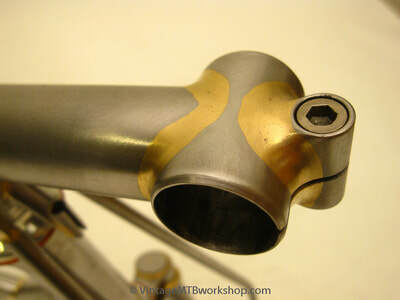 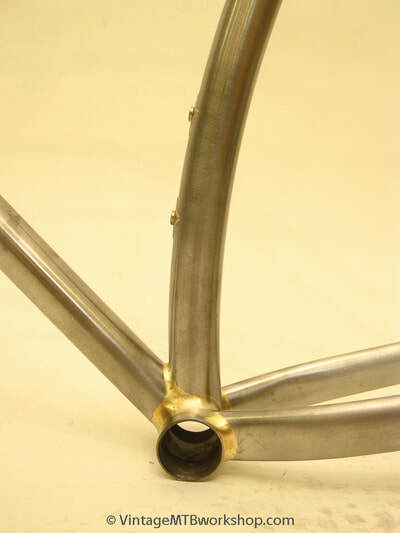 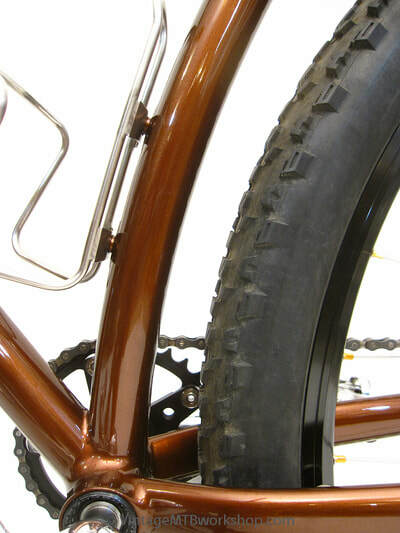 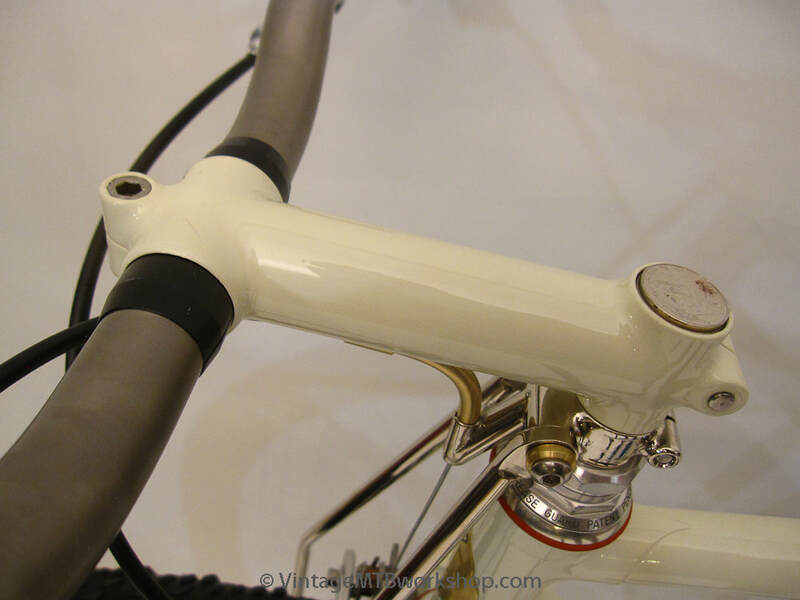 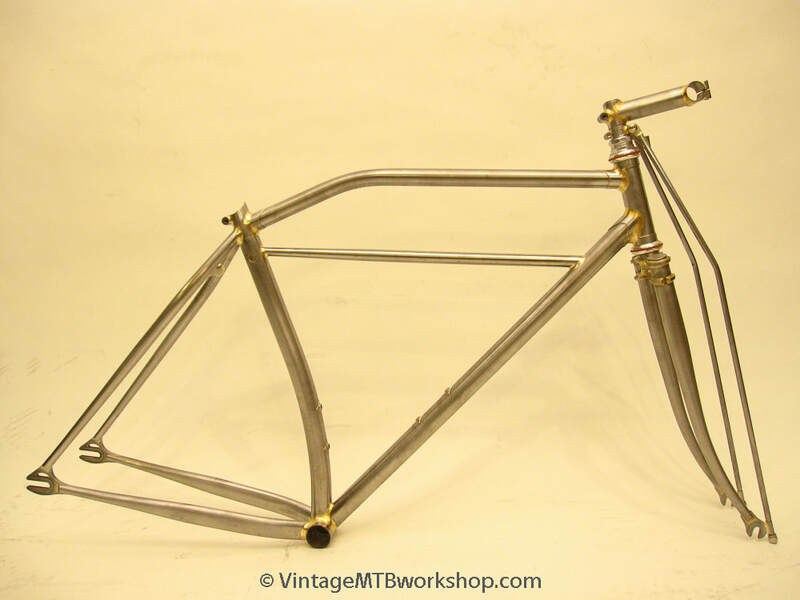 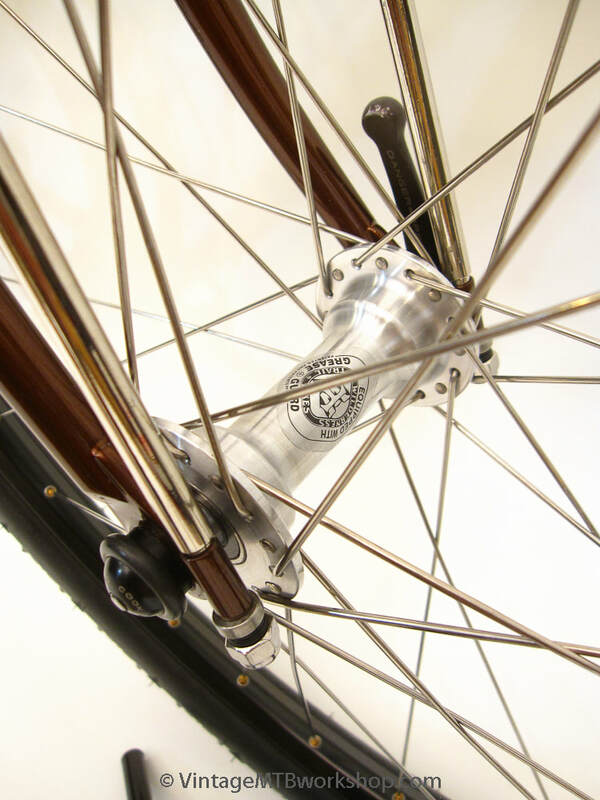 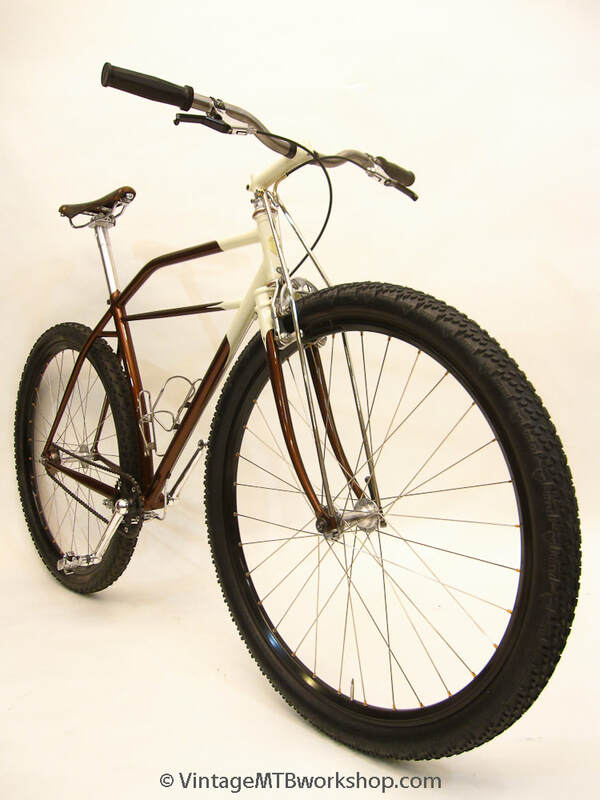 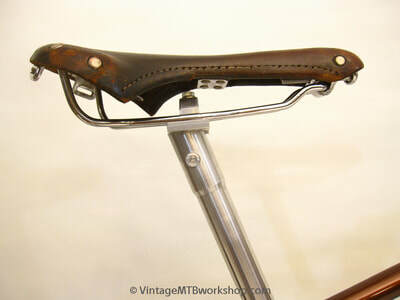 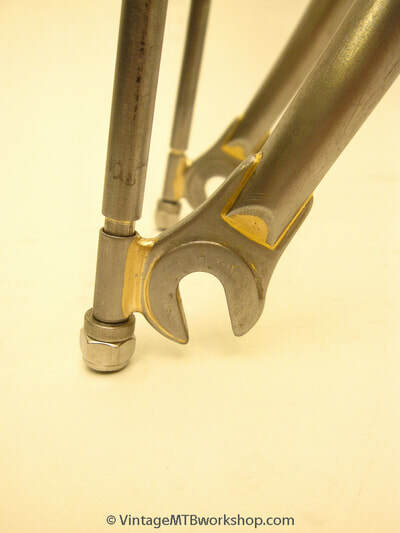 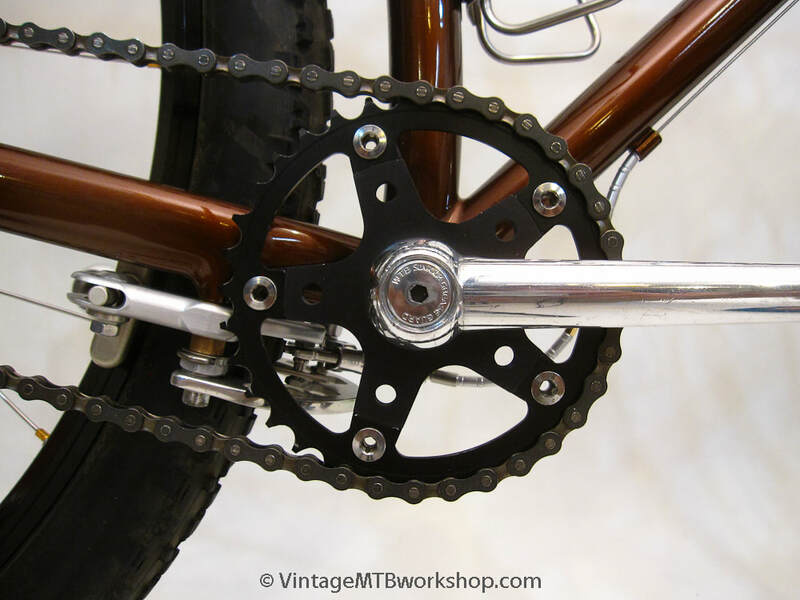 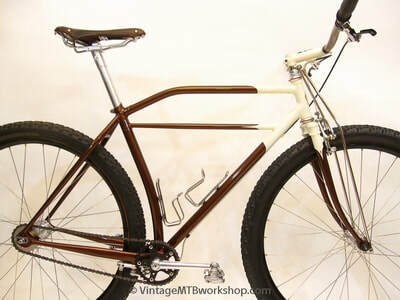 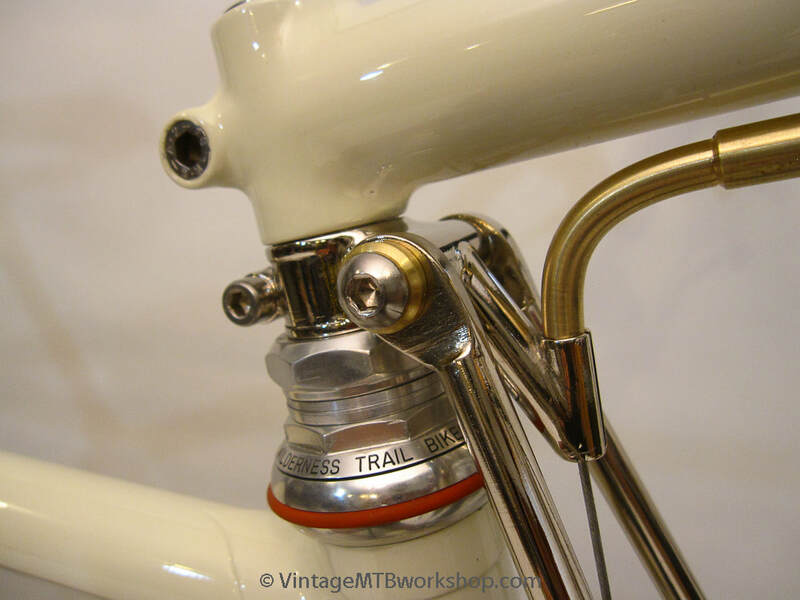 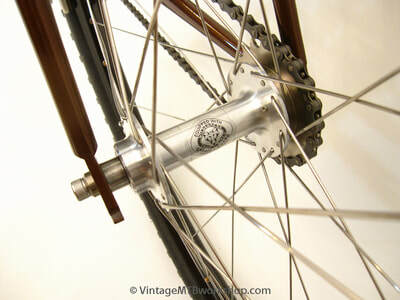 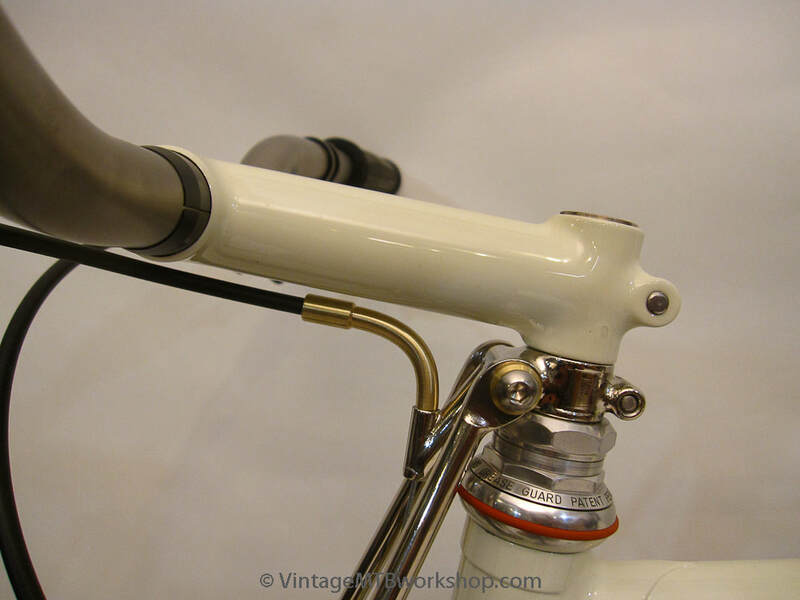 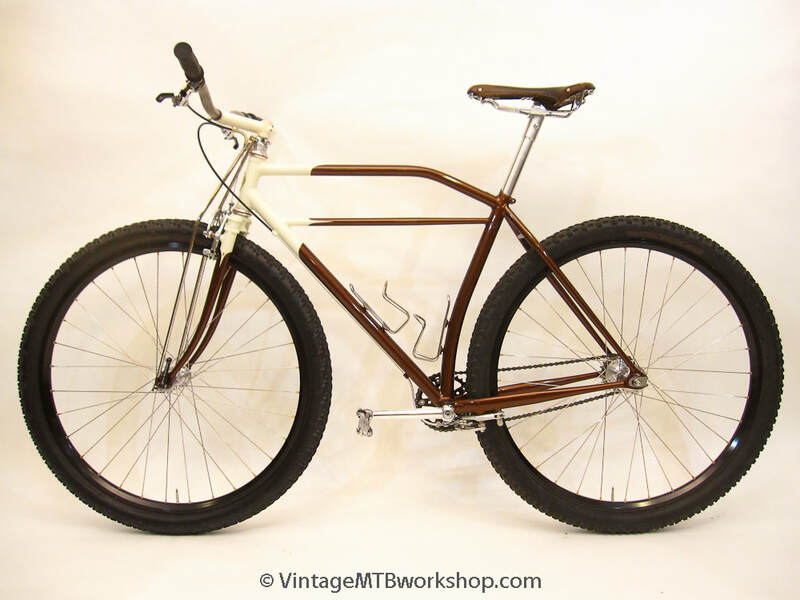 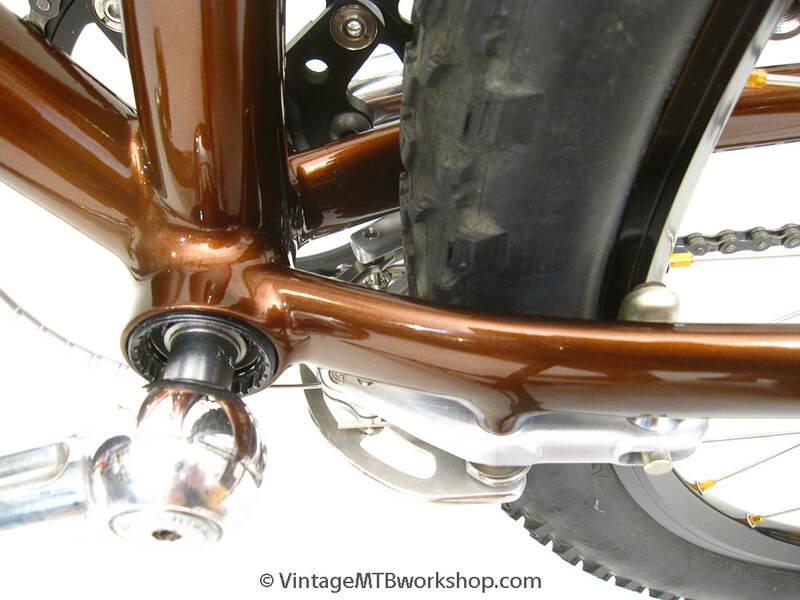 The frame design harkens back to the 1930's and the Piece Arrow balloon tire bikes. 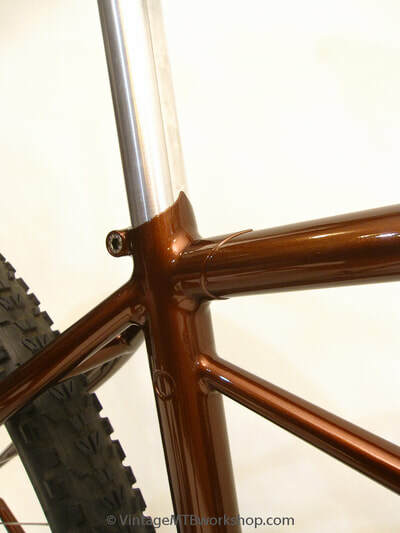 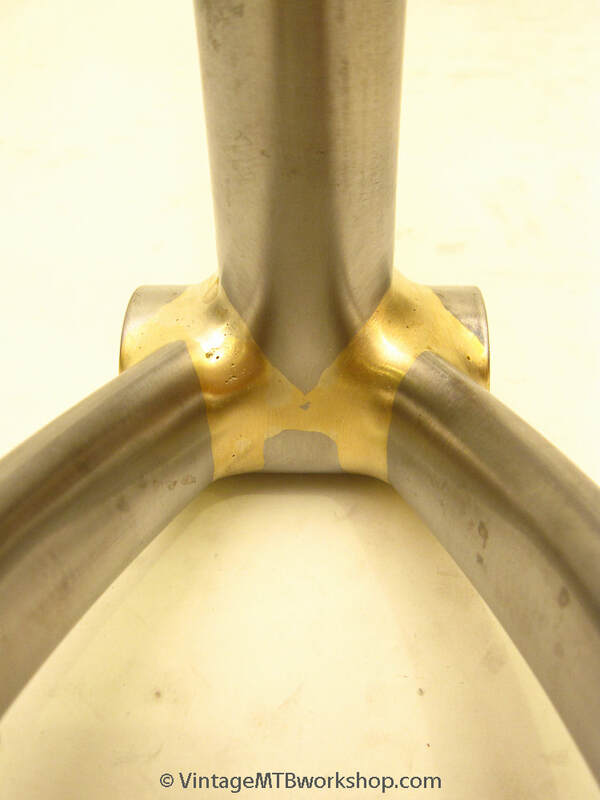 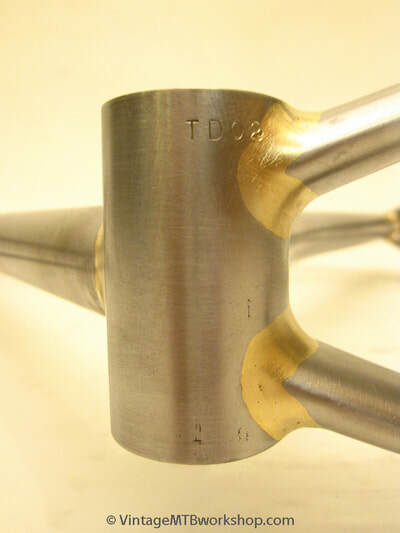 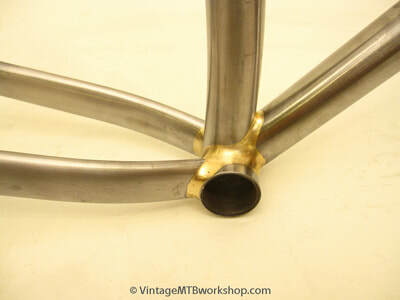 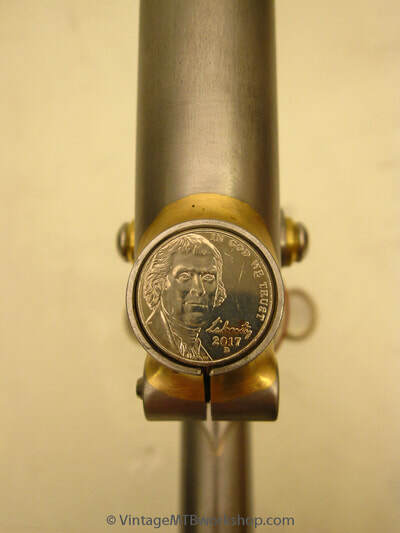 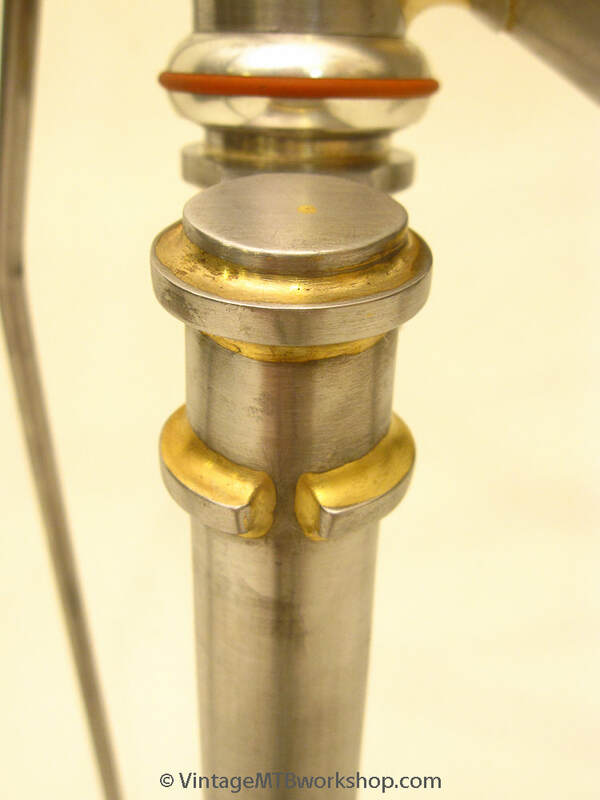 The frame construction also pays homage to many of the pioneer mountain bike builders of the last 40 years, including Ross Shafer, Joe Breeze, Steve Potts, and Tom Ritchey. 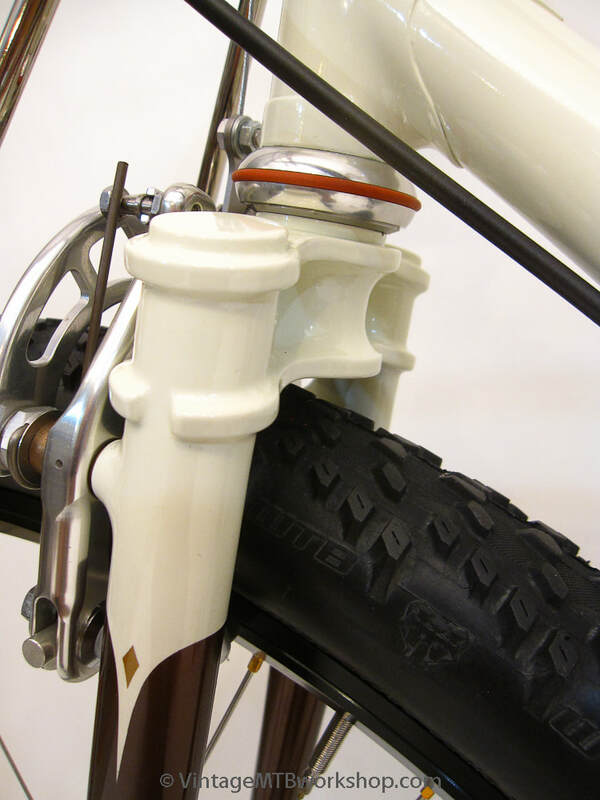 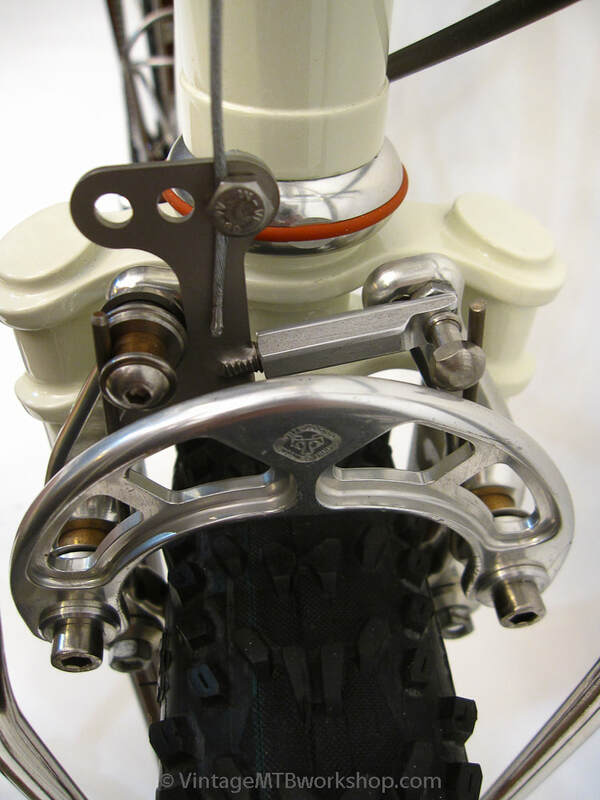 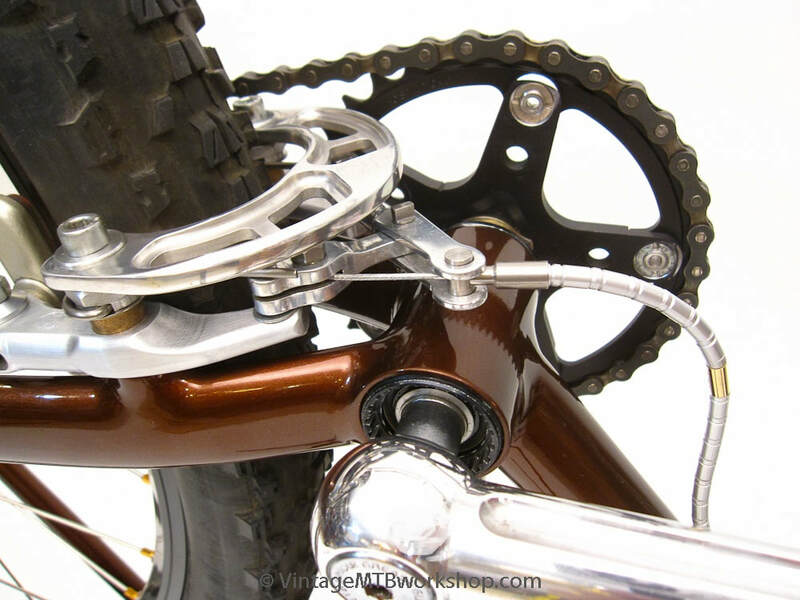 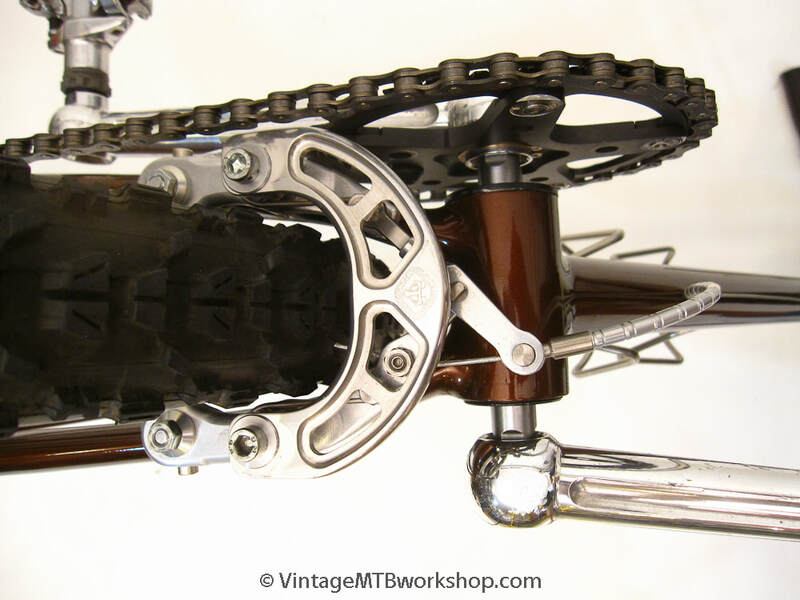 The components make use of many of the best parts made by Wilderness Trail Bikes, and have been adapted for this purpose. 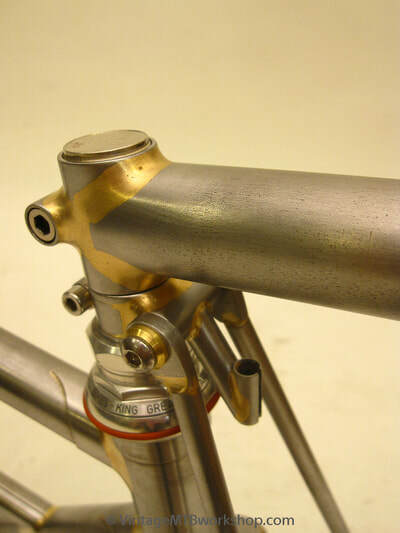 The stunning paint job was generously applied by Mark Bolish, a longtime contributor to the Michigan cycling scene. 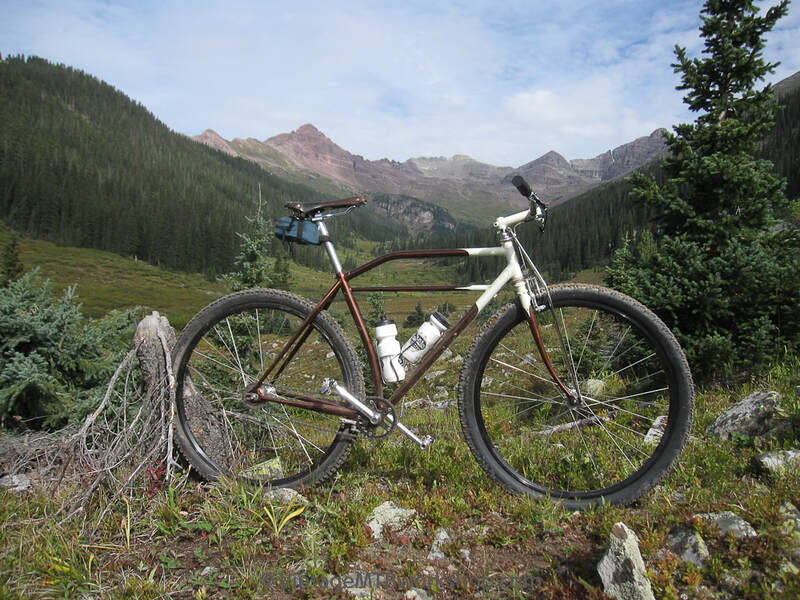 As the name implies, this bike was built for and ridden in the 2017 Pearl Pass Tour.